A new MagicBand has been discovered and it looks to be a very tough one to obtain. 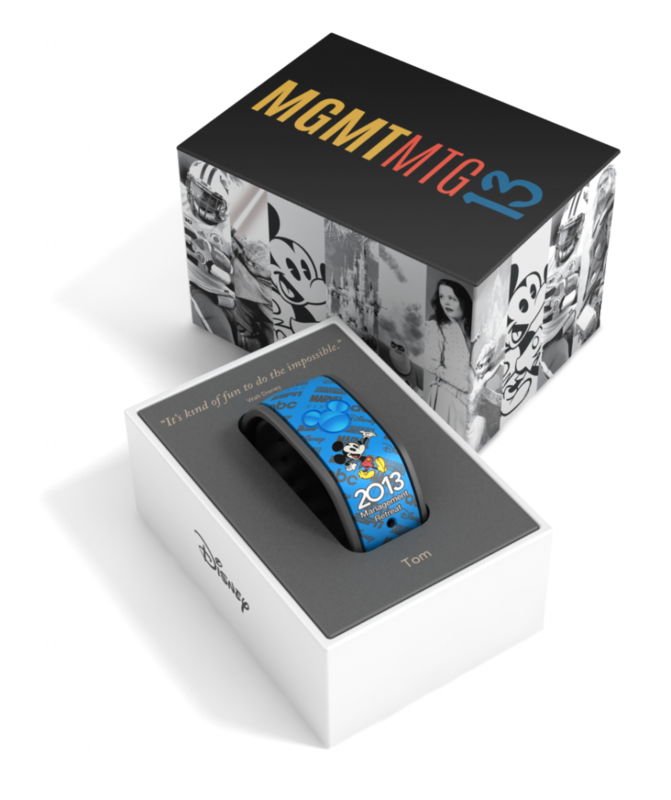 It’s a 2013 Management Retreat band given to executives at the Walt Disney Company. The band is blue and features an older drawing of Mickey Mouse. The background shows the logos of all of the major companies in the Disney portfolio, and comes in a very neat custom box. This photo was obtained from a Disney employee who got a glimpse of the MagicBand in an e-mail sent to Cast Members. As you can see from the box, the employee Tom is most likely referring to Tom Staggs, head of Parks & Resorts, meaning that this band was given to employees only very high up in the company. For you collectors out there, good luck finding this one!